Materials: Pressure treated oak. Mortise and bolt through method of construction. Gary Kulak’s Barn Chair is located at the western boundary of MLAP. 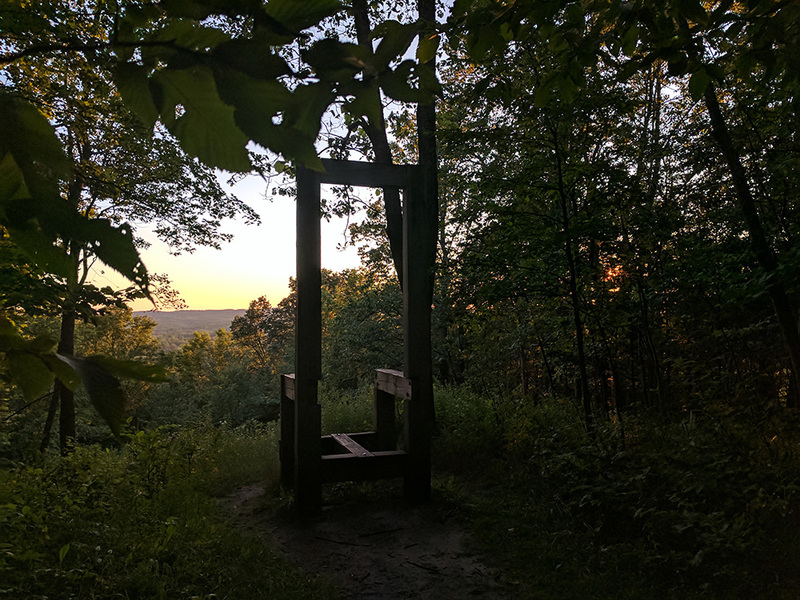 He chose the sight that overlooks the Betsie River Valley because it is “a view to be framed and… contemplated.” While visiting the site, the image of a wood-framed chair came to his mind. The chair form had influenced his work for several years, particularly during the time he spent summering at nearby Crystal Lake. Of Barn Chair, Kulak comments, “Furniture design and making has a long history in the State of Michigan…embedded within the structure of this work… are techniques utilized during the 19th century in the building of both barns and bridges.” The form is open to create a frame through which the landscape can be viewed. 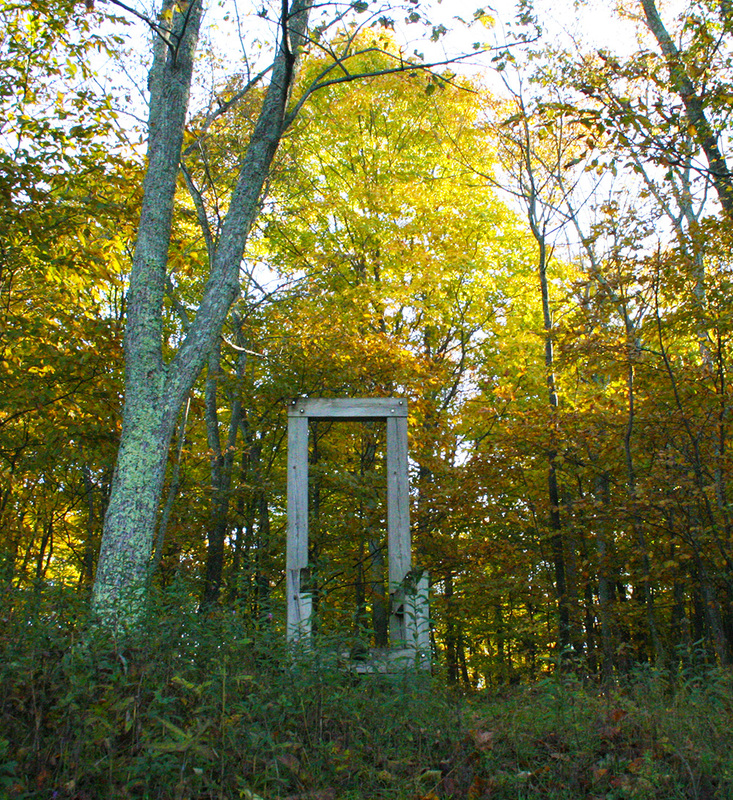 As you approach Barn Chair from a distance, note the changing relationship of the chair’s scale to the landscape framed in its vertical format.